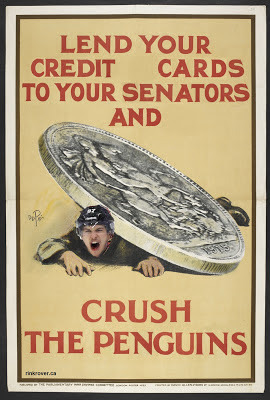 UPDATE 24 May: The pessimism in Ottawa can be felt in Calgary, so I've prepared a bonus poster to help combat worries over tonight's game and turn the Pessimistic Sens back into the Pesky Sens that upset the Habs in the first round. 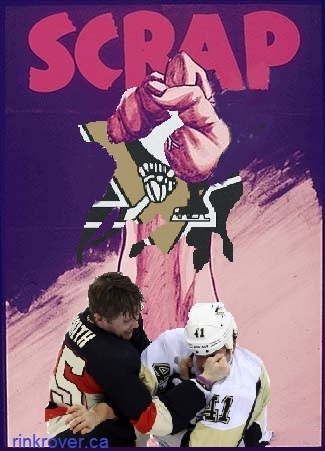 After upsetting the Habs in the first round, the Sens are now well into second-round action with the Pens. 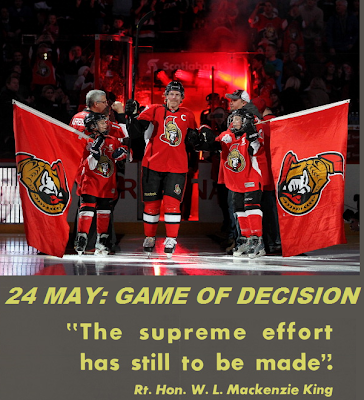 This extended playoff run is likely leading to some frustration in the ranks of Sens Army and in Ottawa as a whole: non-fans may be talking up the enemy, Sens fans may not be committing themselves to the team as much as they should, enthusiastic supporters may be jinxing the Sens by talking about injuries or next round's match up, onlookers might be criticizing specific players for supposedly sub-par performances, and Ottawans in general might just be losing motivation to support the team. To help clarify and resolve these issues, I've prepared the following posters that address all of the above topics. Feel free to post them all over Ottawa (hint, hint)! I heard that Scotiabank Place wasn't sold out for Ottawa's first home game against the Pens. Sens fans get a lot of flack for either not showing up to support the team or walking out before games have been decided (more on the latter concern below). 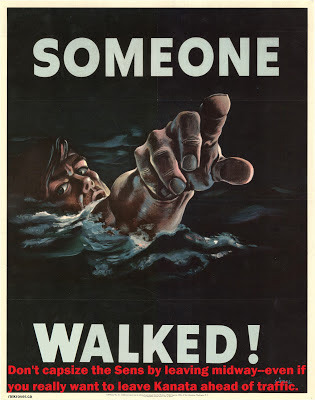 This poster combats that problem by giving exorbitant ticket prices meaning: people aren't just shelling out cash to see millionaires vie for accolades; they are contributing to the war effort against a fearsome foe. 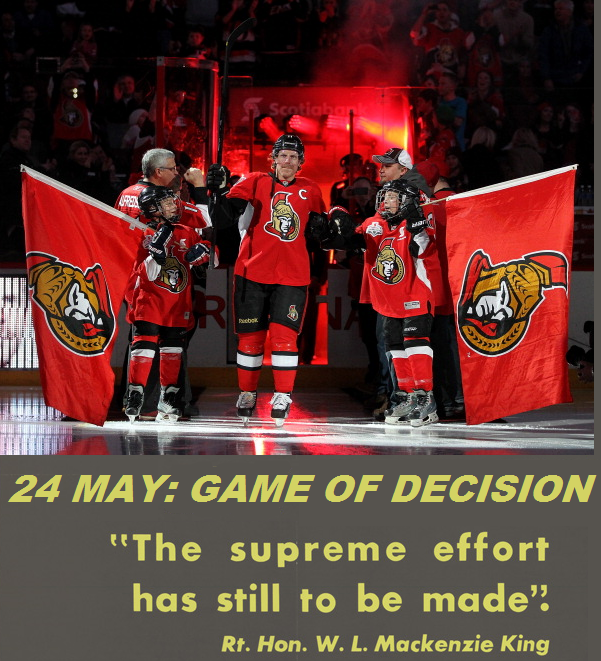 By putting their hopes as well as credit-card debt on the line, fans earn the right to partake in the Sens' victory as their own accomplishment. To help motivate people not only to pony up money for playoff tickets but to attend the games as well, we need to address the problem of transportation. Getting to Scotiabank Place (by car or public transportation) is a hassle any day of the NHL season let alone during the spring/summer in which Ottawa becomes one big construction site. The long drive to Kanata is more of a disincentive to see the team in person than heading into a game knowing that the team trails in the series against (on paper at least) a far superior team. 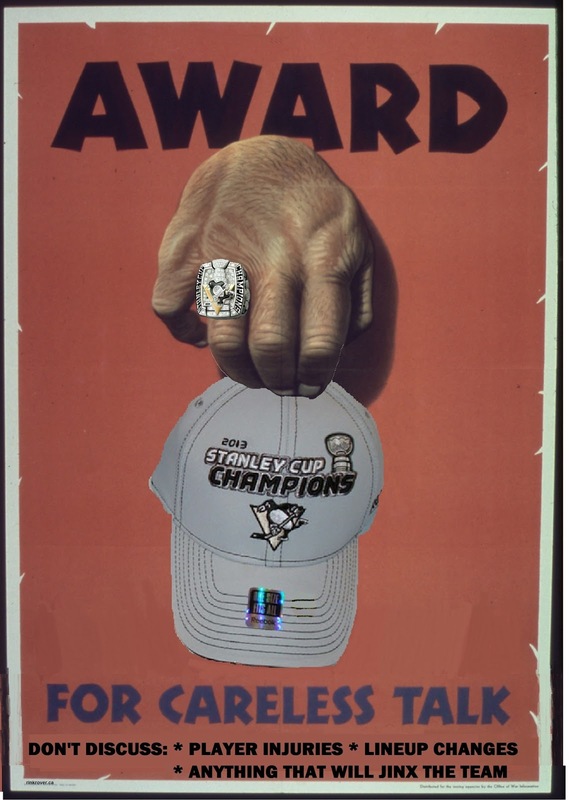 To make it easier for people to cheer on the underdog, consider hanging this poster throughout the city. 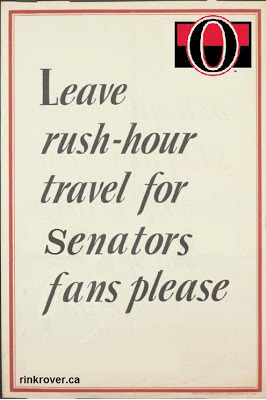 This friendly but firm poster reminds people that taking a snail-paced scenic trip through Ottawa during the playoffs is entirely inappropriate. While people generally have the same right to the road as others during the year, times of great importance require certain people (i.e. 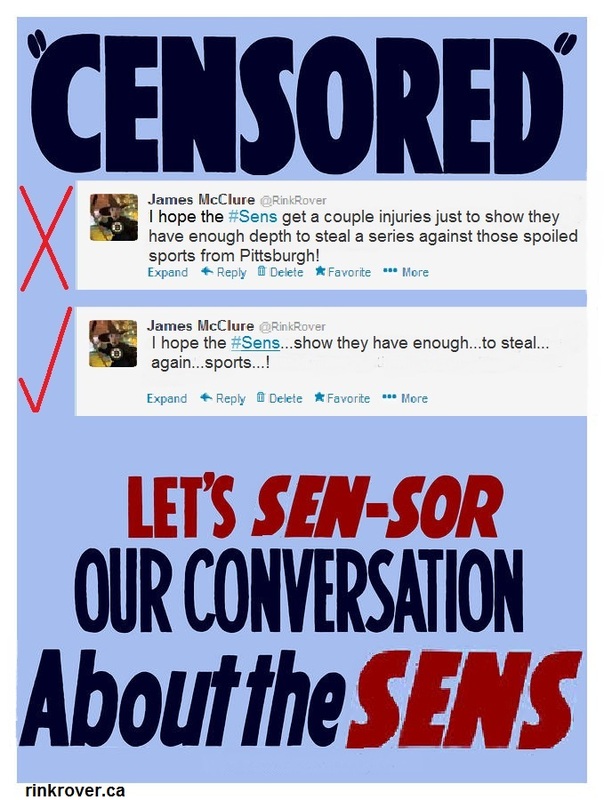 Sens fans) to be prioritized over others. Those asked to sacrifice convenience in order to ameliorate traffic jams will be rewarded when they get to partake in the cup parade down Laurier Ave.
Related to problems with traffic and fans not showing up to games is the stereotype that Sens fans leave games with plenty of time left in regulation for either team to come out on top. I've been to numerous games at Scotiabank Place in which fans of the home team streamed out of the building when their team is up or down by a single goal. Making the commute easier for Sens fans will help solve this problem, but it may take a more drastic approach to make these delinquent fans understand the magnitude of their actions. Imagine how devastating it must be for the team to see its fanbase desert them on when they are on the brink of either a great comeback or a narrow victory? Here's an artistic rendering of how such defection affects players. This may be a bit of an exaggeration, but sometimes you have to overstate the point in order to startle people into realizing that bailing on the Sens in close games can sink team morale. Hopefully the image of Senators drowning in the ocean will produce a form of paralyzing fear that will prevent fans from leaving their seats before the final horn in the third. 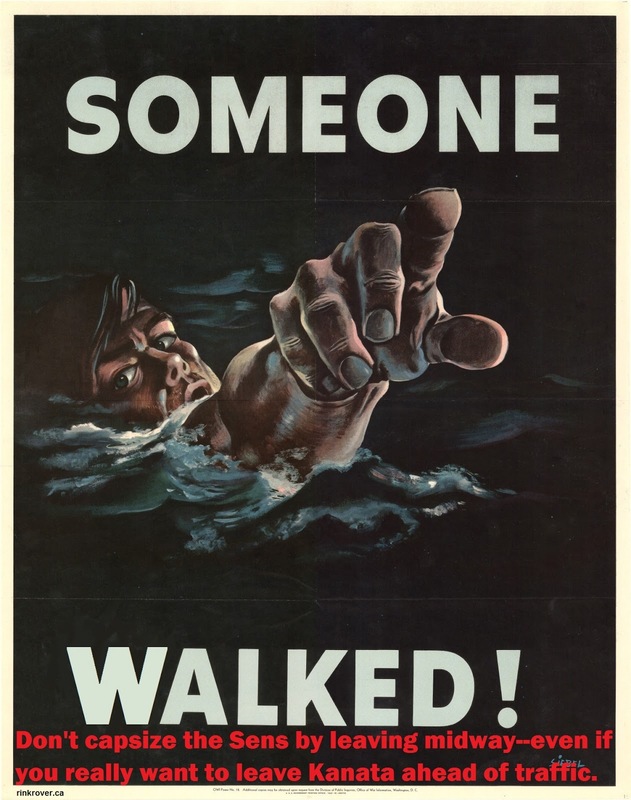 Preventing the Sens from figuratively drowning in a sea of complacence will help their morale, but more measures are needed to preserve their actual health. As a fan, it's important to encourage others to fraternize with the Sens responsibly. 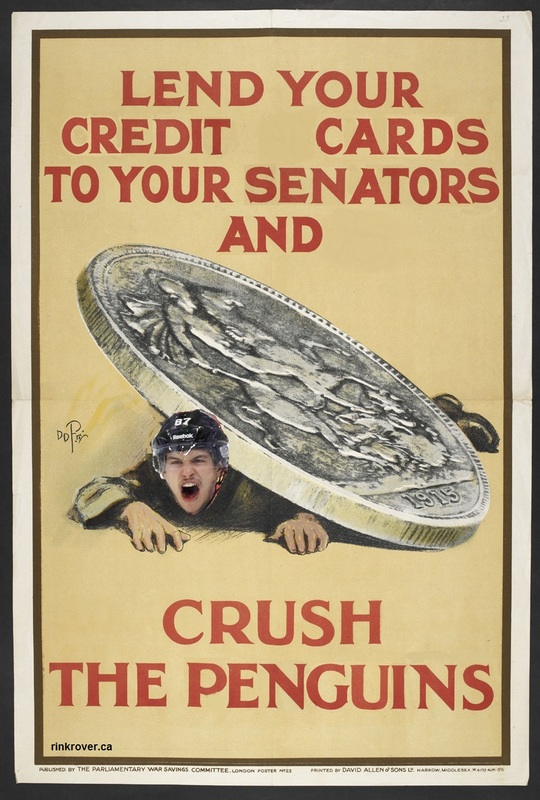 You don't want some sort of disease to cost Ottawa the Stanley Cup, so you might consider hanging up posters like this to encourage fans such as yourself to take a proactive role in preventing diseases from harming the Sens. One sad side-effect of playoff hockey is that team partisanship often ruins relations between roommates, ends romantic relationships, causes discord in work settings, and puts a great strain on familial relations. What's even more regrettable is that these social breakdowns often stem from misunderstandings rather than roommates, partners, coworkers, or family members rooting for opposing teams. People often simply forget that they shouldn't talk up your team's current enemy in casual conversation if they don't want things thrown in at them in a faceward direction. Anyone who sees this as they stop by your communal fridge, cubicle, or bulletin board will get a visual reminder of whom they cannot speak of (at least not in a positive manner) for the time being. 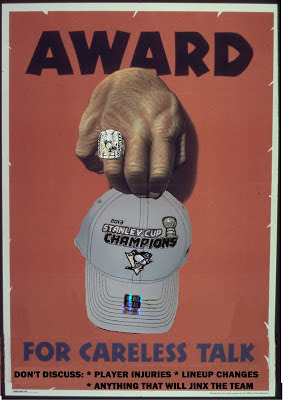 This poster should be updated if Ottawa makes the third round of the playoffs, and, if not, it should be left up all summer to remind people that there is an indefinite moratorium on speaking well of the hated team that eliminated the Sens. We all know that during the playoffs, the hockey gods are more vigilant than Santa when it comes to rewarding the good and meting out humiliating punishments for the bad fans. With that in mind, Ottawans should be reminded that casual conversation or tweets about the Sens might jinx the team. 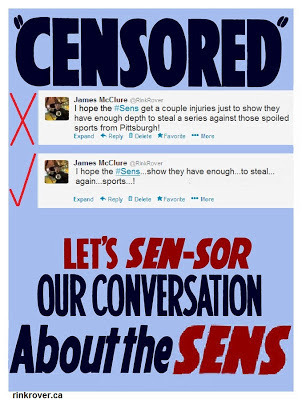 To prevent fans from saying anything that the hockey gods will punish as an act of hubris, they should be encouraged to censor all of their conversations. Here's a poster that promotes this pious playoff practice. Of course this friendly take on the issue might not scare people into action. To put some fear into hearts of careless talkers, I've prepared a poster that offers a bleak view of the consequences stemming from fans jinxing or, even worse, openly discussing player injuries and thereby tipping off the Pens on the Sens' weaknesses. 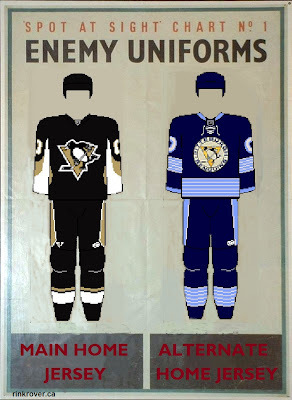 As this poster illustrates, such actions make fans valuable assets for the enemy. When things go poorly, fans tend to turn on their star players rather than attributing losses to an overall problem in the team's effort. 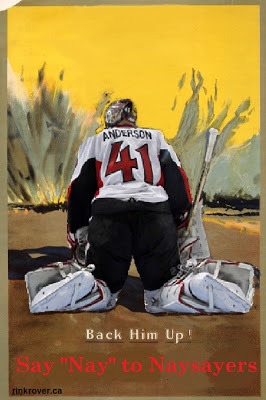 Let's not let Ottawa's victory on Sunday obscure the fact that some thought Anderson should be benched after being pulled in game two. 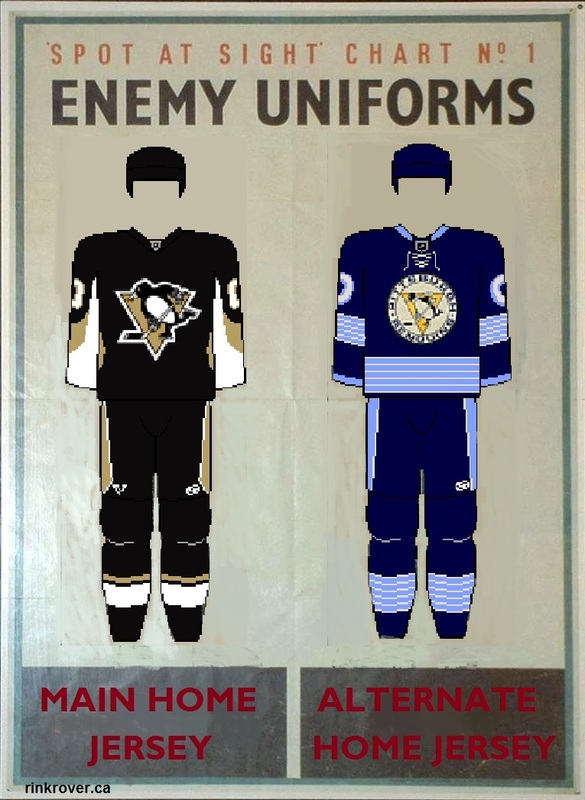 To combat such pessimism, this poster reminds fans that the playoffs are a war. As such, fans shouldn't voice dispiriting criticisms of players that can be overheard from the foxholes in which those same Sens try to fend off the blitz of the Penguins' attack. Playing armchair GM is great during the regular season and in the off-season, but ti's best not to nitpick over Anderson's faults as he's getting shelled by pucks in the playoffs. Okay, enough suggestions for maintaining cohesion in various social settings during the crucible that is the playoffs.